Our family loves playing board games and I’m very excited to tell you that Hasbro has released a new game, Millionaire Monopoly. It’s a game that uses a tagline I simply can’t resist…..First One to a Million Wins! Ready for some millionaire flair? MONOPOLY MILLIONAIRE gives MONOPOLY fans the ability to live the millionaire lifestyle – complete with stacks of cash (instead of single bills) and all-new, extravagant movers. The game introduces a new way to play, encouraging players to upgrade their lifestyle as they race to accumulate wealth and become the first to earn a million dollars – automatically winning the game. As you move across the luxury-themed game board, you have the opportunity to upgrade your salary and mover – you may start off with a paper airplane, but you’ll be flying high in a private jet by the end of the game. All-new lifestyle and fortune cards keep the game moving as money shifts hands and players compete to collect properties and become the first! 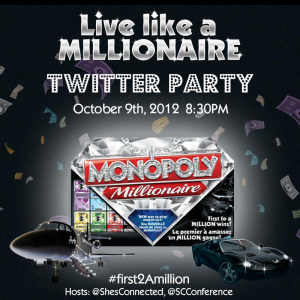 ShesConnected is celebrating the game’s release with a Twitter party!! 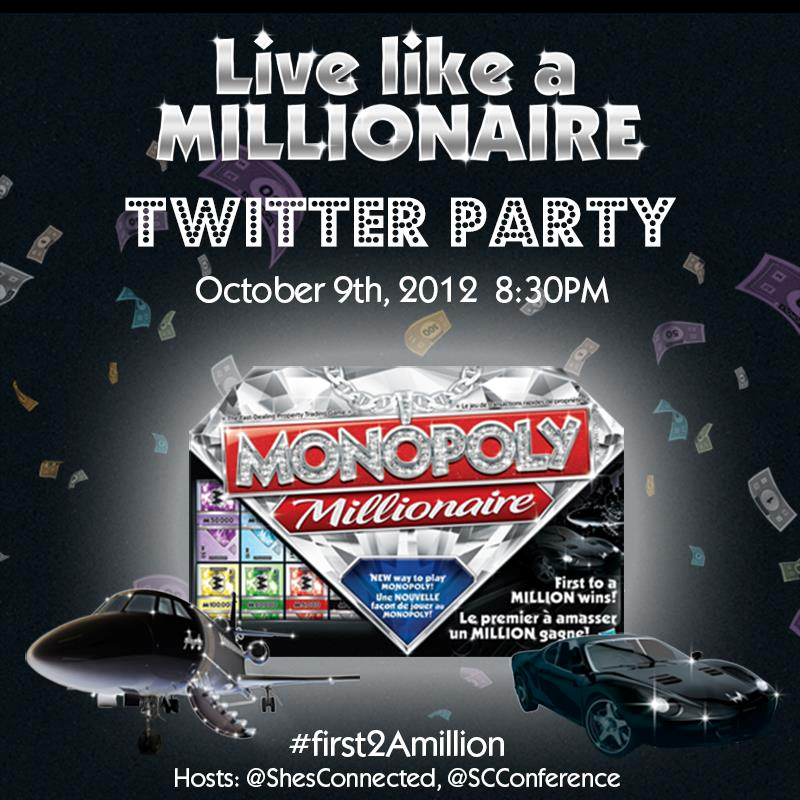 Come join us for a fantastic Twitter party by using the hashtag #first2Amillion on October 9th at 8:30pm EST, RSVP here and get ready for great prizes! !